CCTV footage shows how a British pilot crashed his helicopter into the Rustic pub and inn in the Irish village of Abbeyshrule. 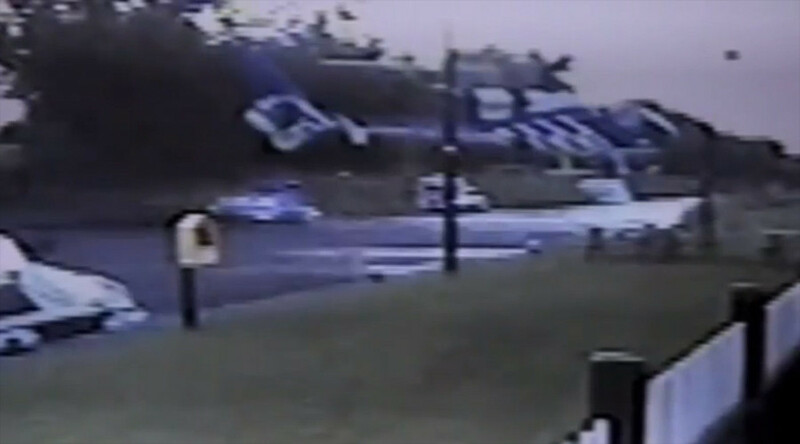 The video shows the chopper hovering above a canal, then trying to land. The attempt fails and the helicopter moves away. Afterwards, it returns and slowly lands, initially in an upright position - as it should. However, all of a sudden, it falls on its side and crashes into the wall of a pub. The two people on board escaped serious injuries – nor was anyone hurt in the pub. The Rustic pub is in fact a bar and a restaurant, and provides accommodation along the banks of a local canal, Irish media reported. Locals described the "deafening thud" of the chopper hitting the narrow grass verge on the banks of the canal. Ciaran Doyle, a local resident, told Independent.ie website that he was gardening with his father near the scene of the accident at the time. "I said to myself I'll go down to the bridge, have a look because it's hovering down low. I watched it hover for five minutes," the 14-year-old said. The helicopter then moved closer to the building and hit a wooden part of the structure, causing noticeable damage, the teenager added.